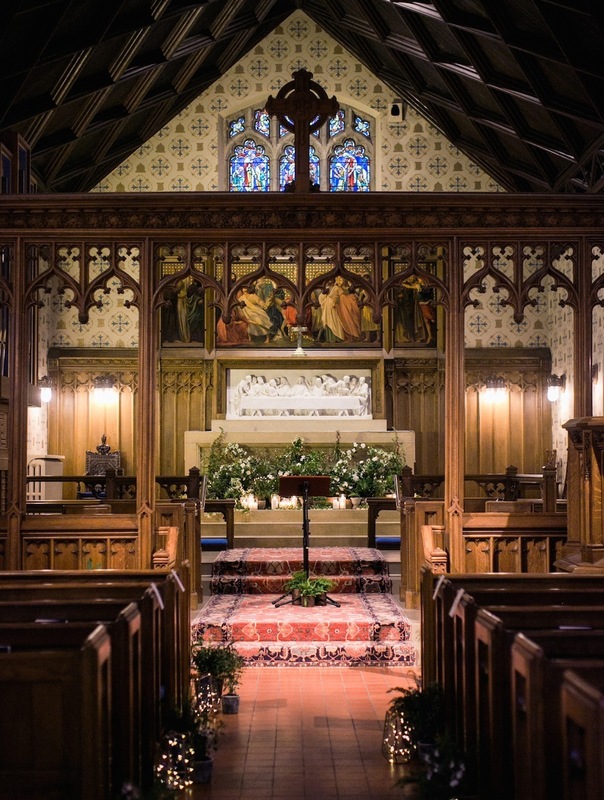 These clients married in a medieval chapel on a private estate just outside Seattle. 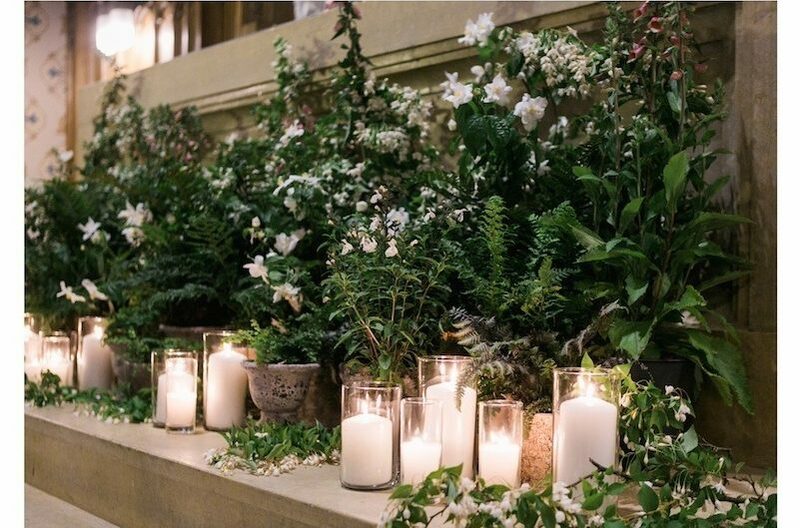 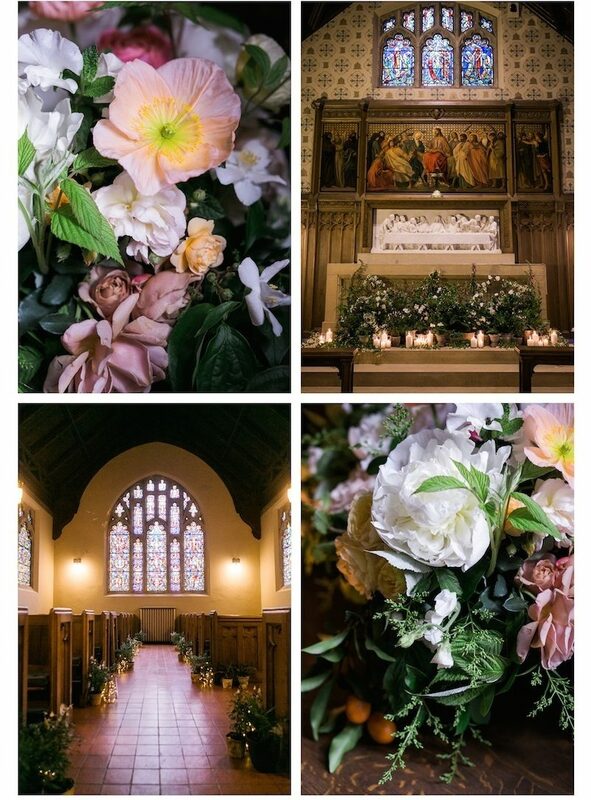 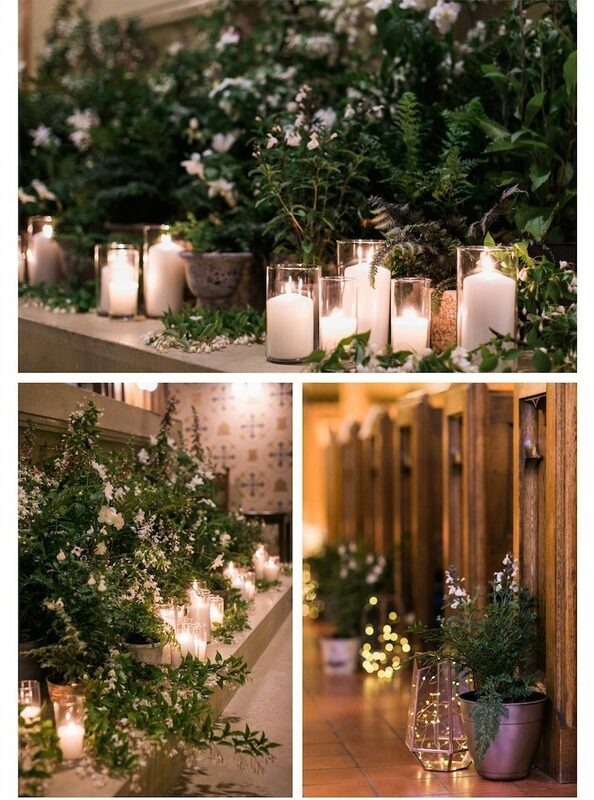 They wanted the chapel to have a dreamy, forest feel and I had an amazing time dreaming up the altar installation of japanese snowbell, privet, foxglove and clematis. 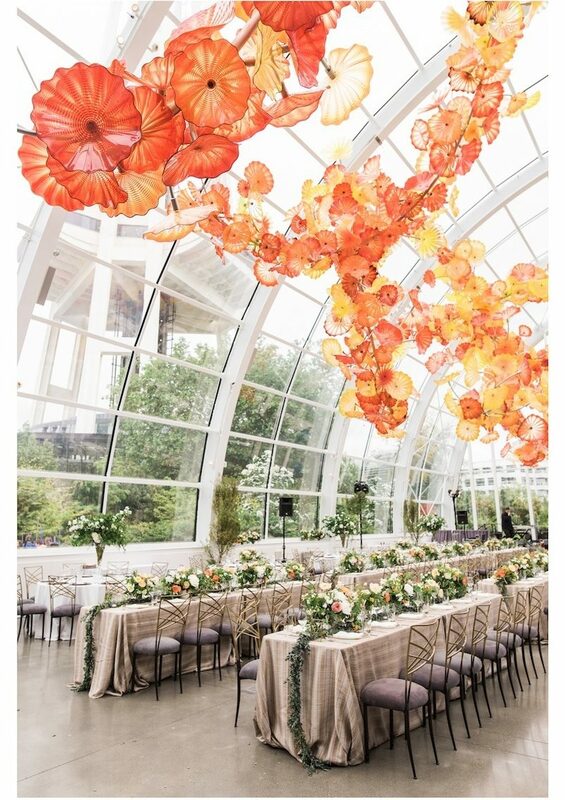 By contrast, the Chihuly Glass museum is bright and airy with a huge glass poppy installation. 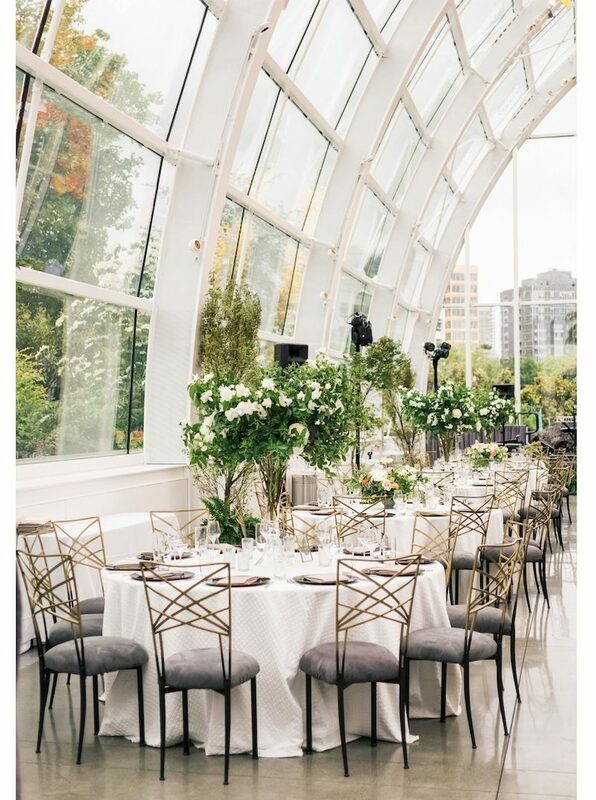 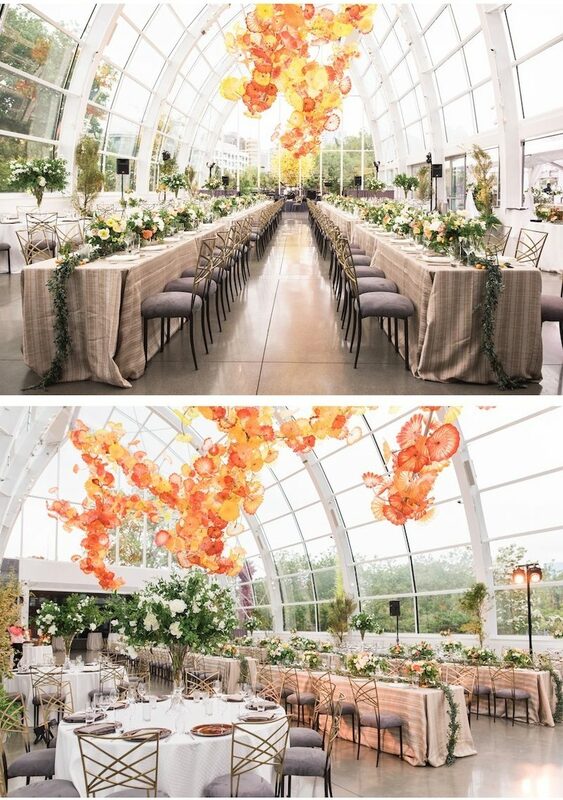 This was the biggest set up we've ever had to do in a two hour window and I tried to keep that in mind with the event design as it was easy to get carried away with the greenhouse theme. 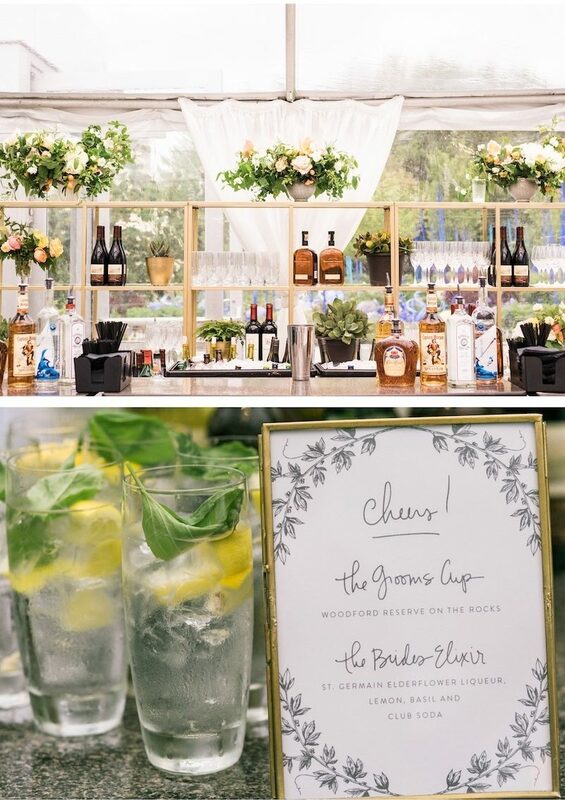 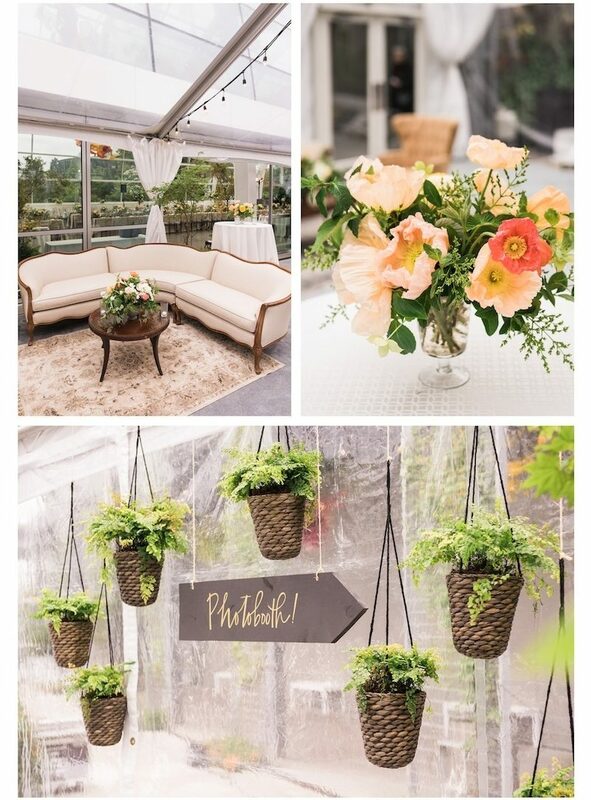 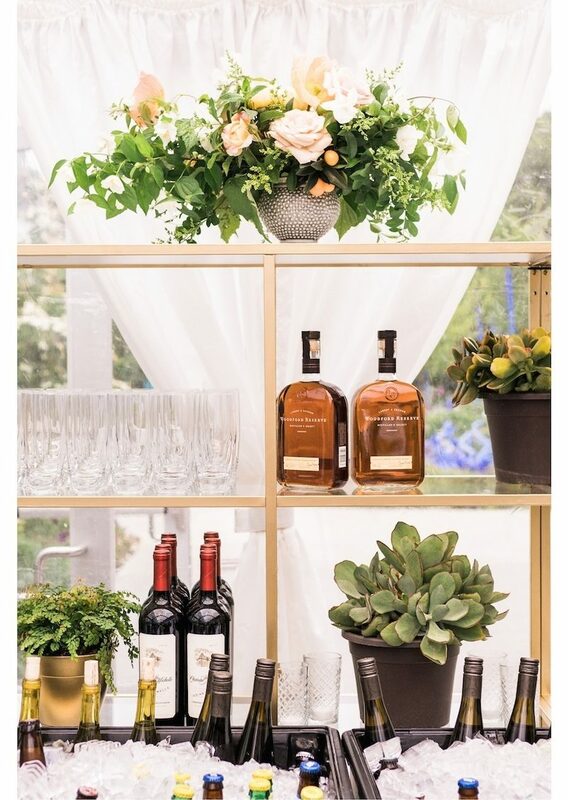 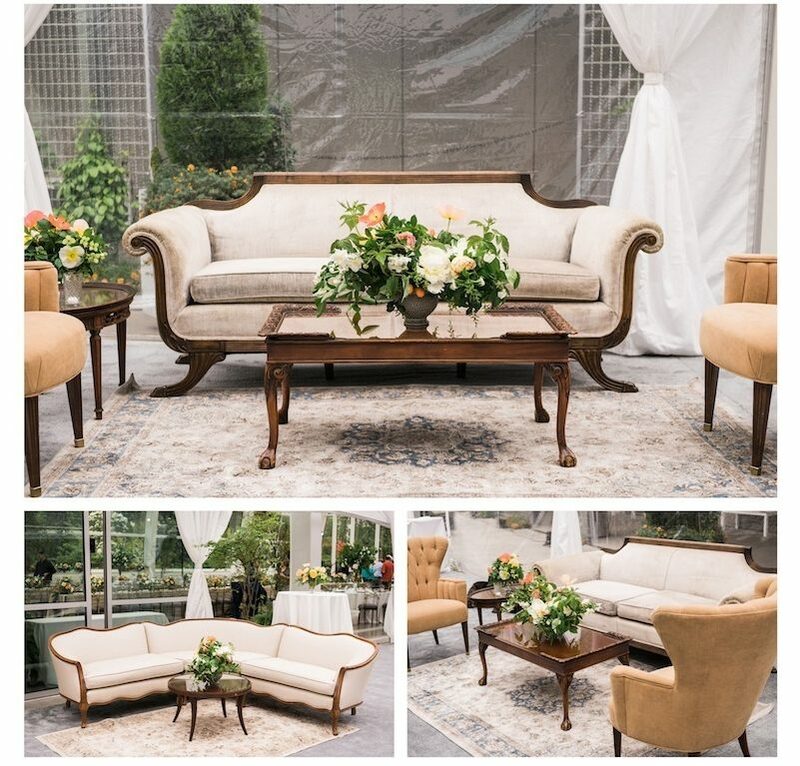 We brought in potted vine maples and soft seating, created a custom bar backdrop and hanging plants to decorate the tented courtyard. 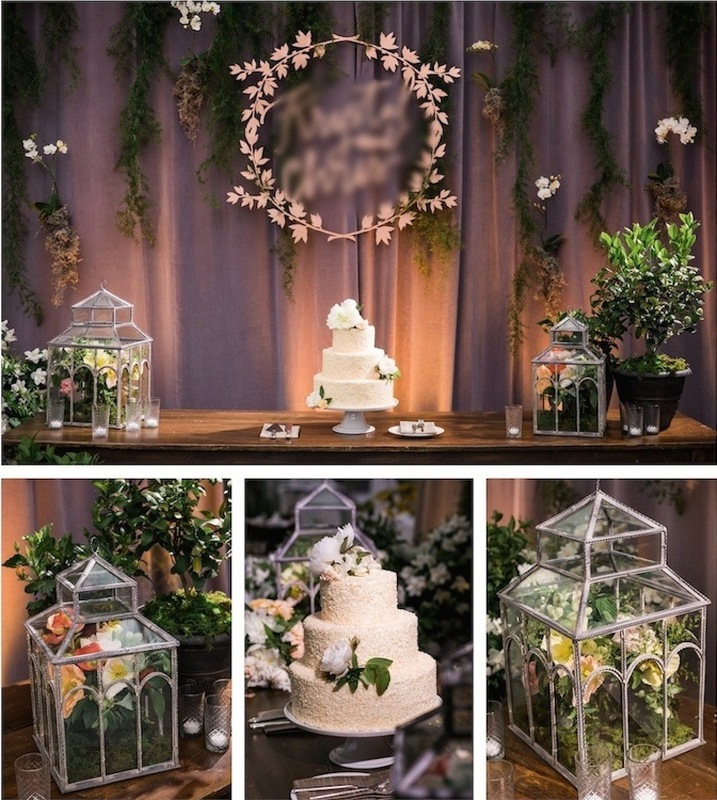 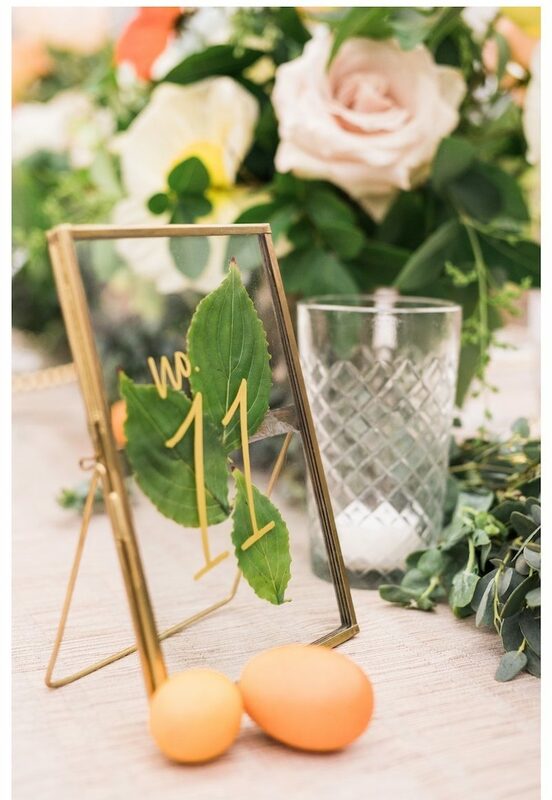 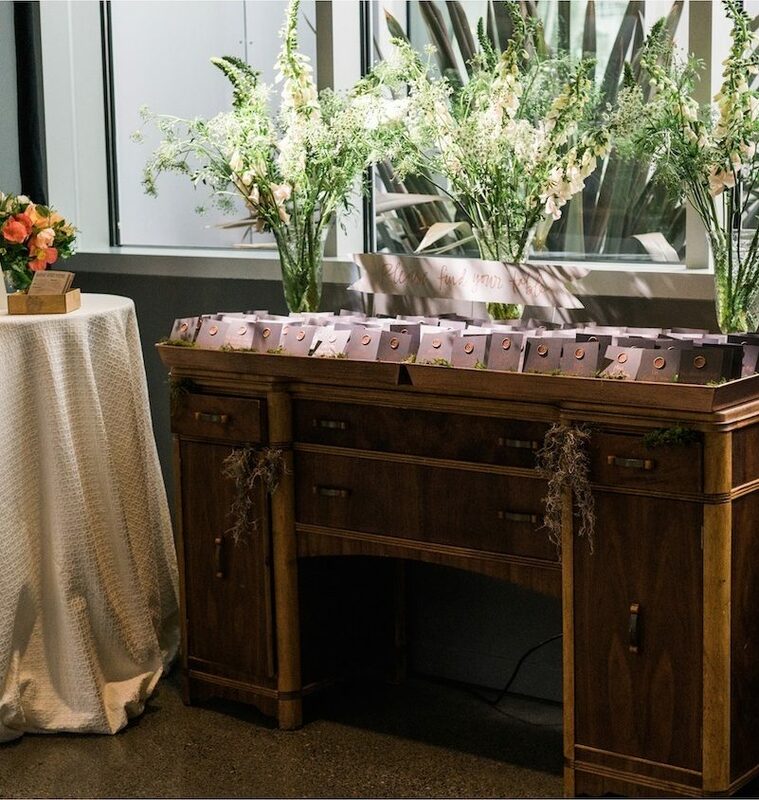 I designed three styles of tables and a greenhouse inspired dessert table backdrop complete with custom 5' wide laser cut monogram and trailing moss and orchids. 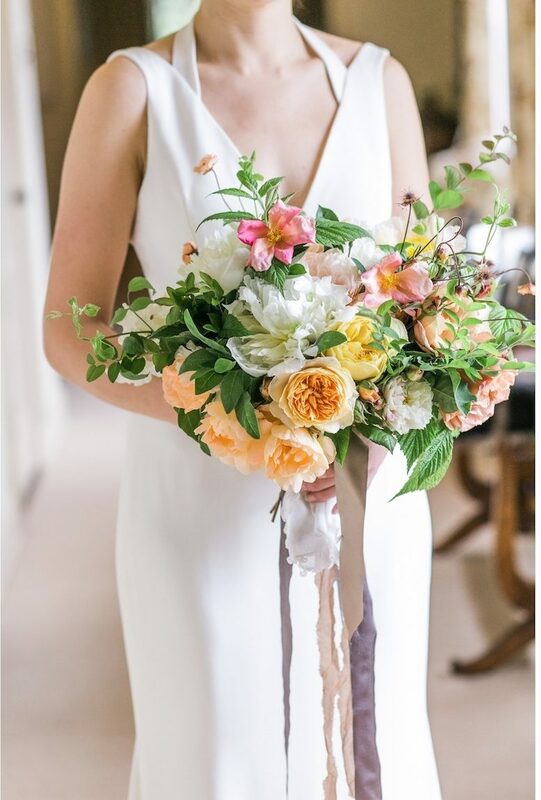 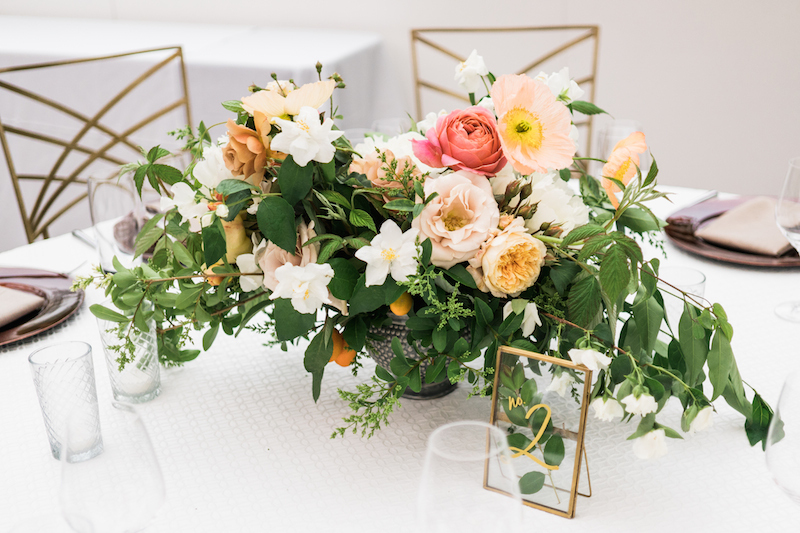 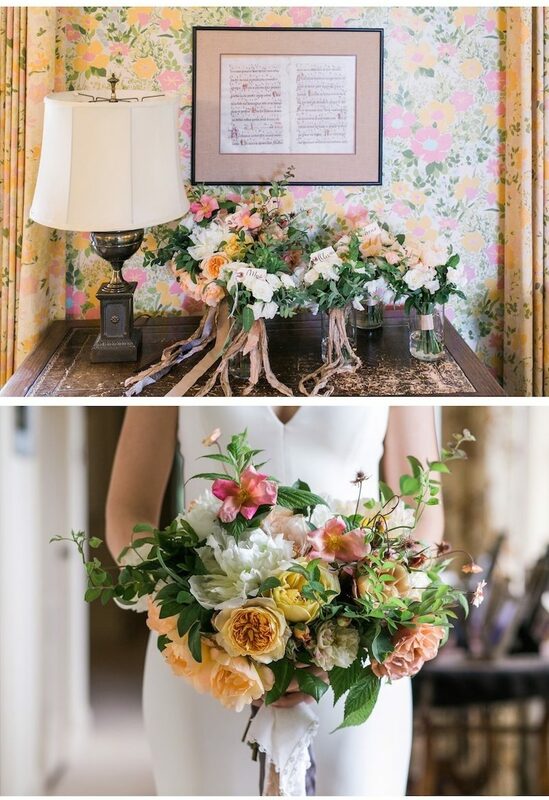 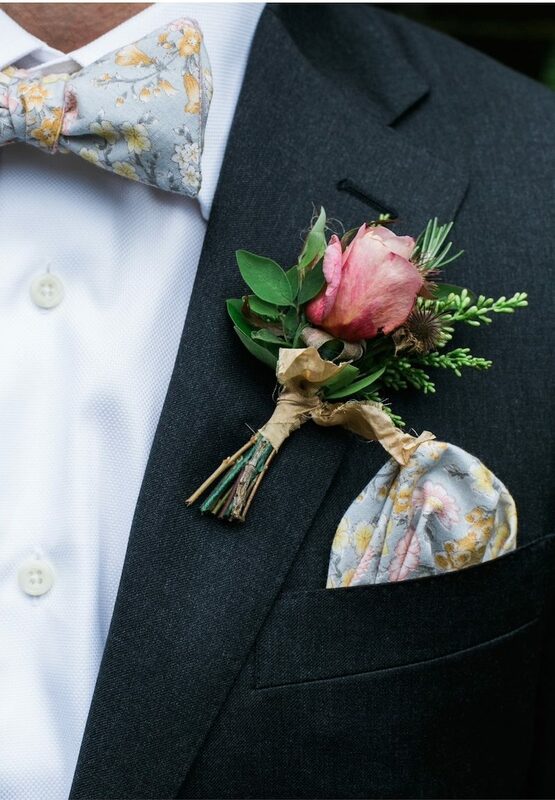 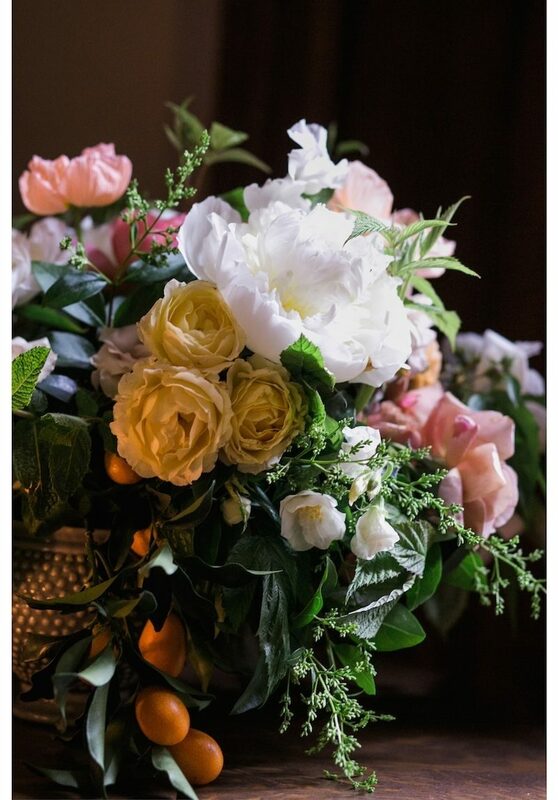 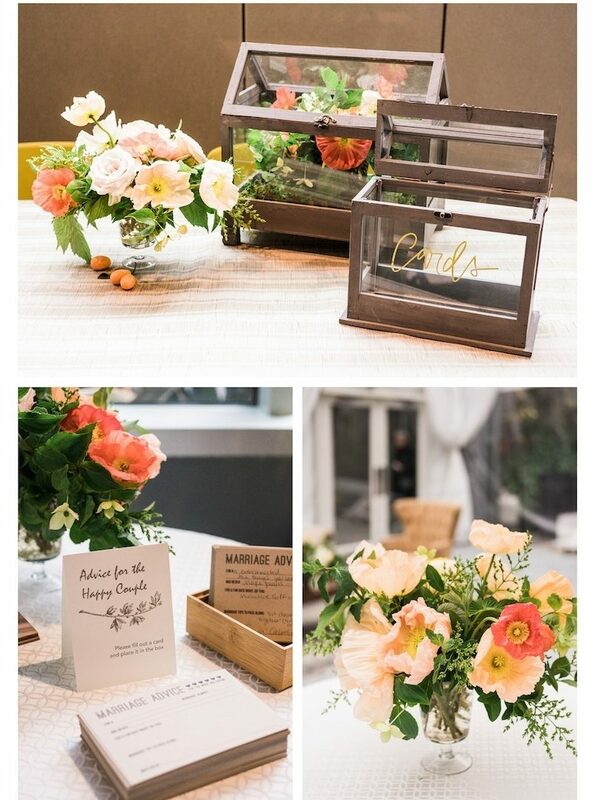 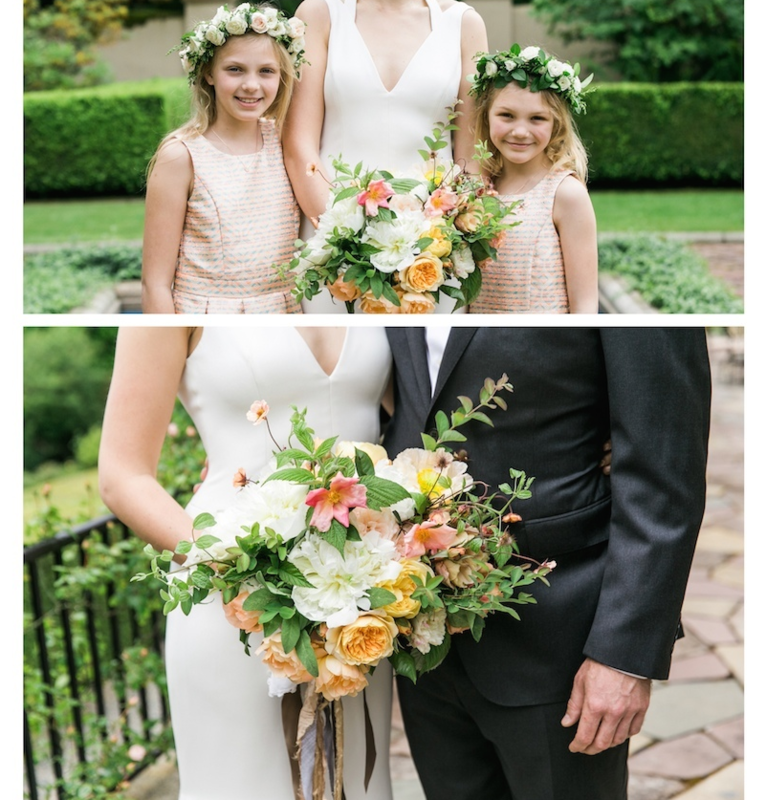 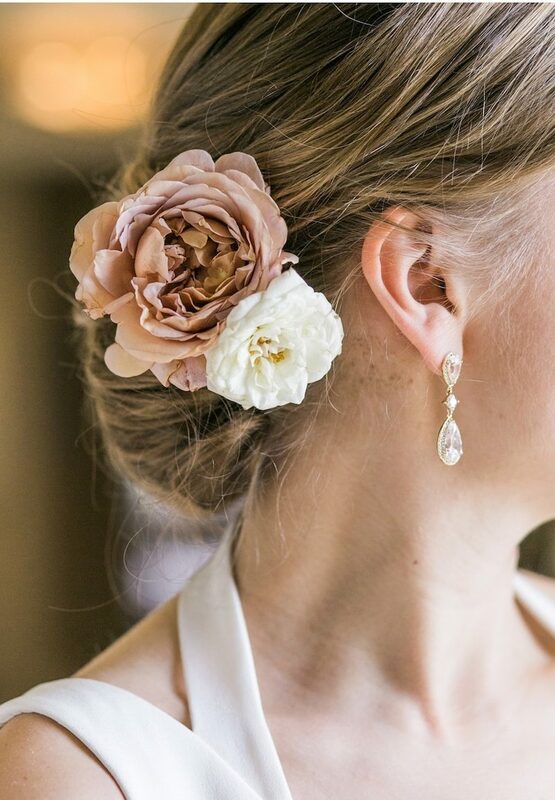 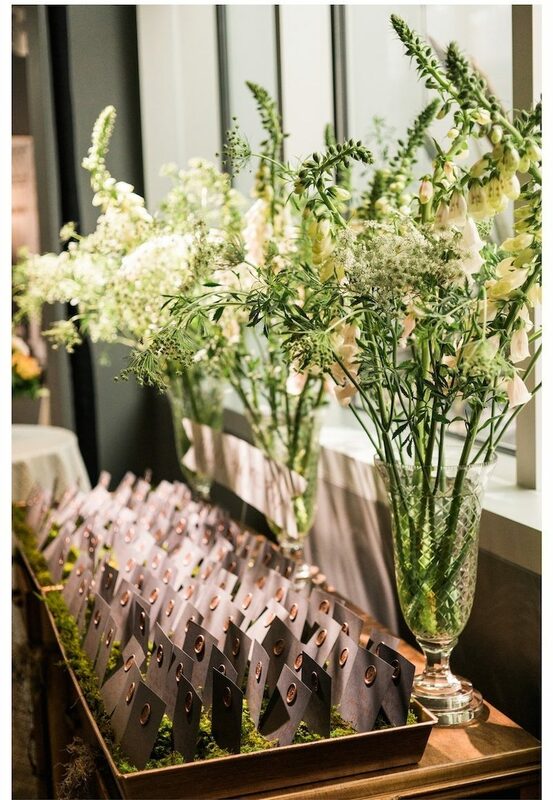 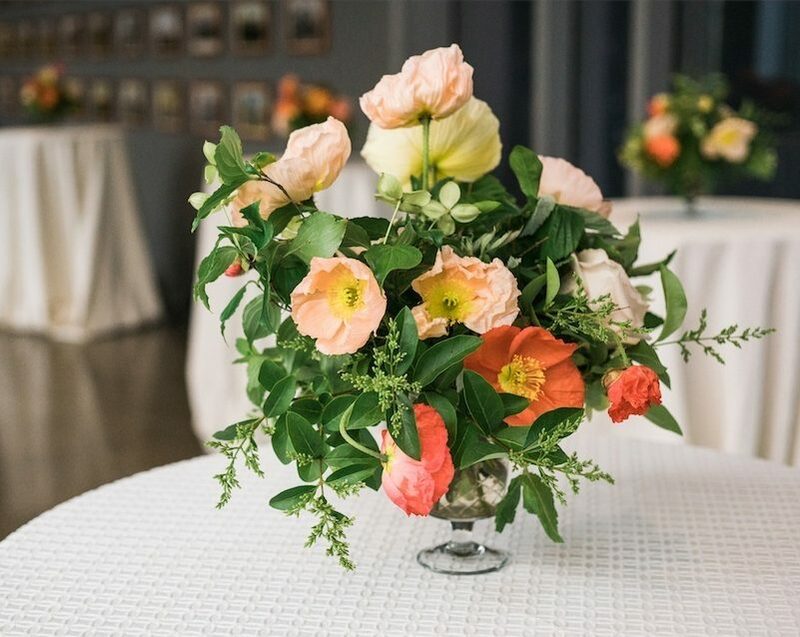 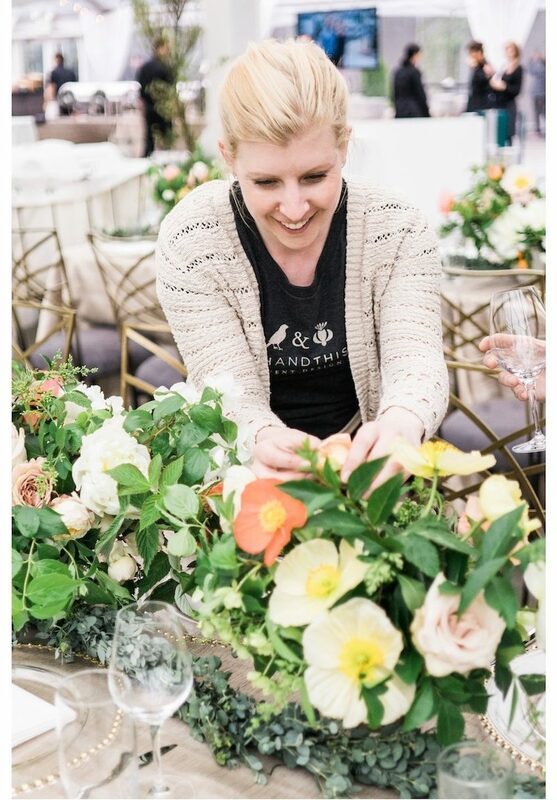 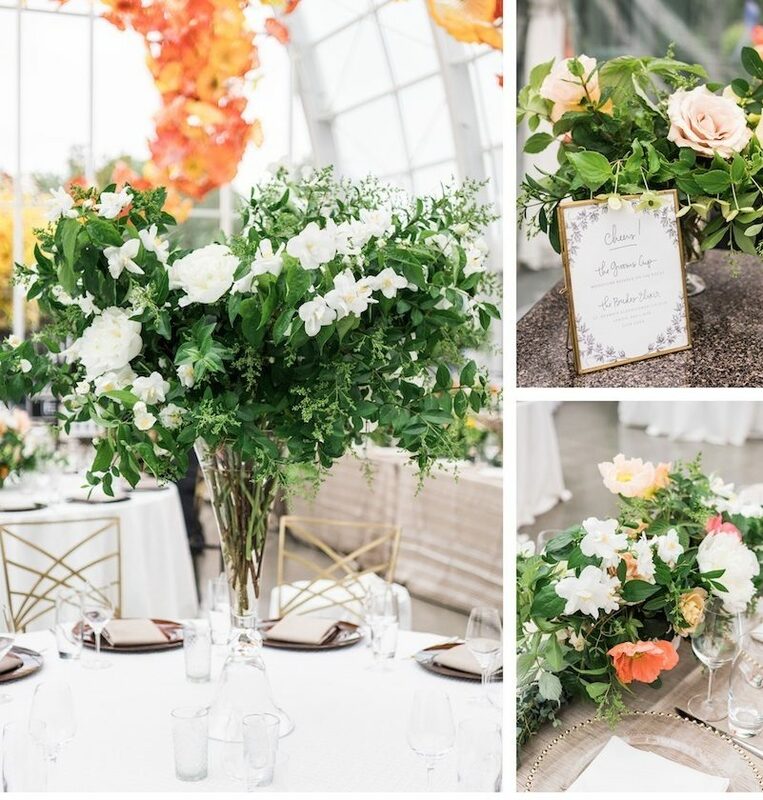 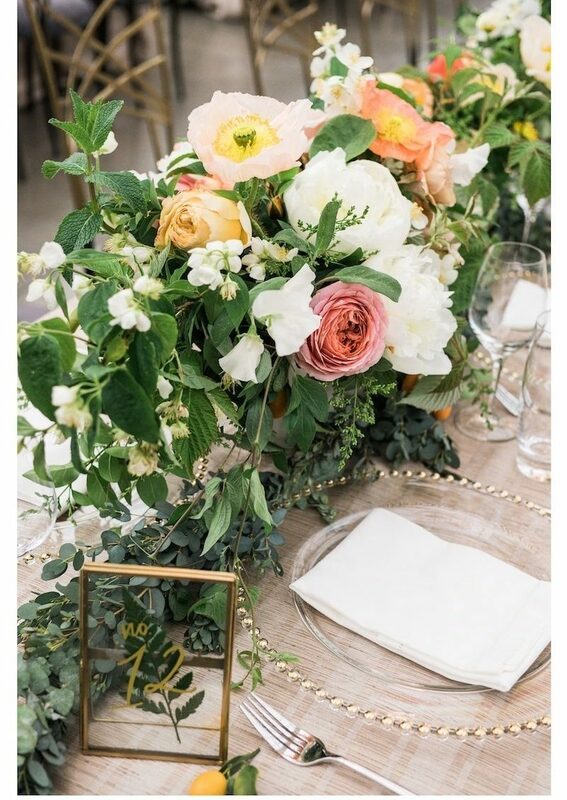 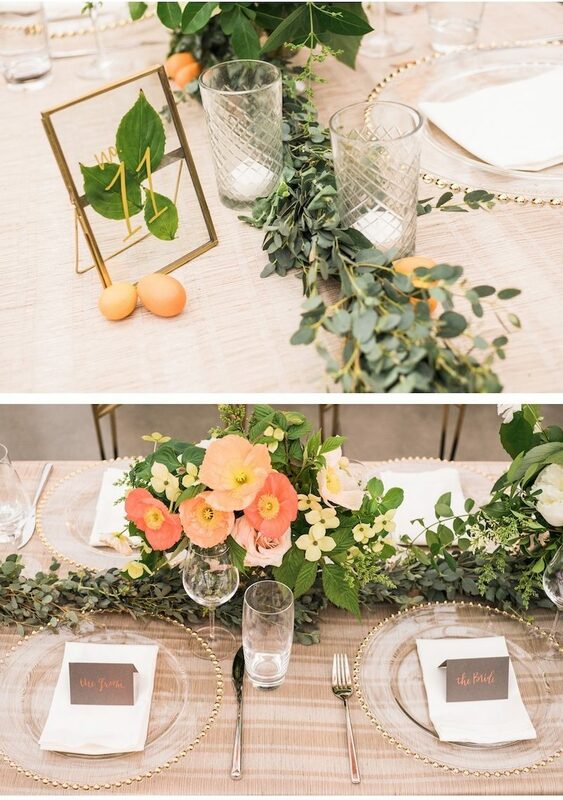 The florals were filled with garden roses, mock orange, ranunculus, peonies and kumquats. 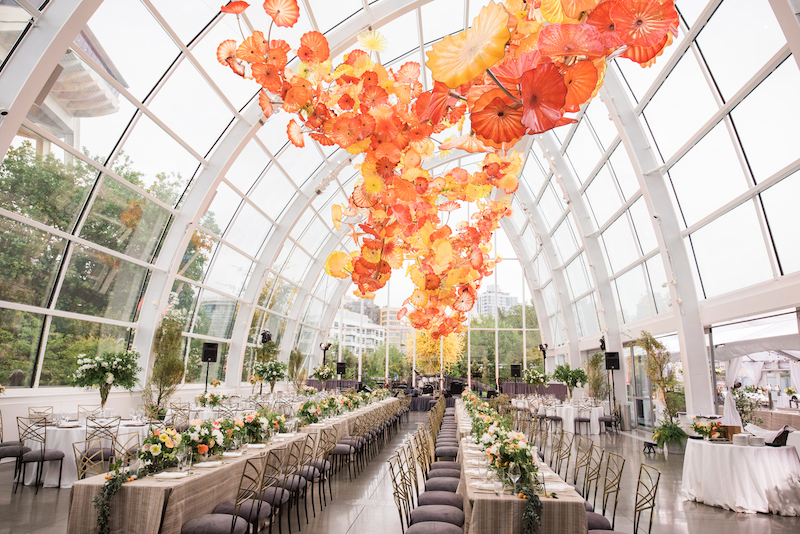 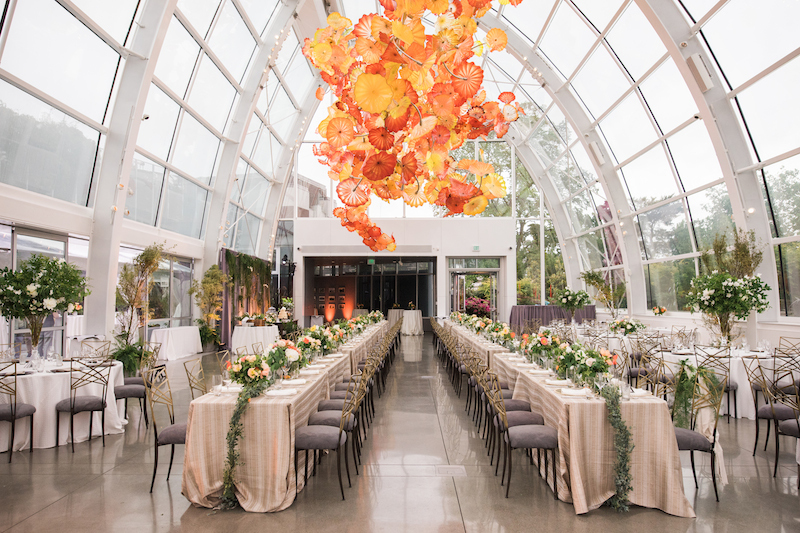 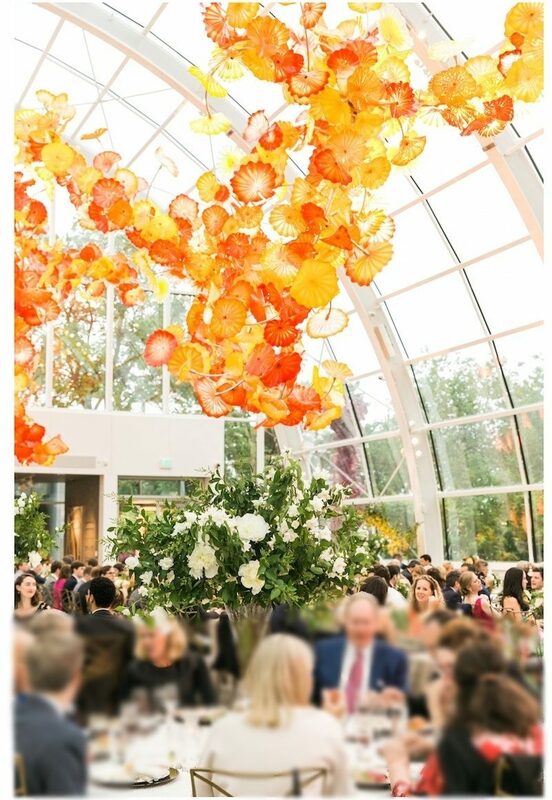 Italian poppies in sherbet shades added a pop of color and served to incorporate the infamous Chihuly glass installation.